Switzerland's selection for KW's German Language Film Festival! 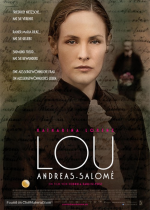 “Directed by Xavier Koller (Journey Of Hope, 1990’s Best Foreign Language Film), Someone Like Me is an irrepressibly cheerful love story set in Bern in the late 1800s. A popular barber shop is home to Dällebach Kari, an amiable and entertaining fellow with a great story to tell. Germany's selection for KW's German Language Film Festival! A new film by Cordula Kablitz-Post looks at one of Europe’s most influential intellectuals—and at her complicated life. Austria's selection for KW's 2017 German Language Film Festival. A Co-presentation by University of Waterloo Centre for German Studies and the Princess Cinemas. Sponsored by the Embassies of Austria, the Federal Republic of Germany, and Switzerland. 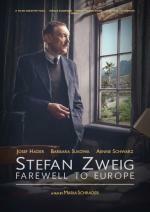 "'Stefan Zweig: Farewell to Europe' chronicles the years of exile in the life of one of the most celebrated Austrian authors of the 20th century. Rising to prominence at a time when Nazism was gaining a foothold across Europe, Stefan Zweig made the decision to leave his beloved homeland. As Jewish Austrian, his action is one that leaves him forever conflicted.